Back in August, Nokia had proudly announced three new mobile phones the Nokia 600, 700 and 701 running on the latest Symbian Belle OS. Out of the three, Nokia 600 has not even seen the sunlight. Now it seems that it has totally disappeared from everywhere. YES! We mean everywhere. Nokia has quietly pulled off all Nokia 600 related content from all its servers which also includes the developers’ website. Even the videos of Nokia 600 have been removed from Nokia’s YouTube channels. 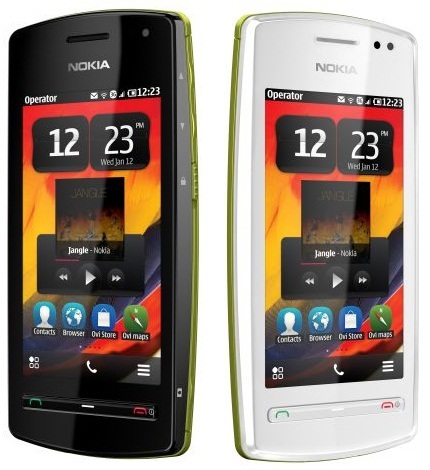 It seems that the ‘Loud and Proud’ 600 has been laid to peace without even an official announcement from Nokia. There’s no information as to why Nokia scarped the device, even when everybody was awaiting the launch of the device. Reasons may vary from some manufacturing or supply issues or it may also be that Nokia now wants to concentrate more on its newly launched Windows Phone Lumia devices. And all of you, who were waiting for the 600, will have to move on and search for a new device which may fulfil your requirement.